I started blogging in 2009 but back then, it was just some random posts about life in general and ranting. It wasn’t until June 2010 that I formally established my book blog, Whatever You Can Still Betray. I really wanted to be part of the Iron Daughter (by Julie Kagawa) blog tour. My favorite part of book blogging is discovering books that I would have never known if I just relied on the books being displayed in bookstores here in my country. The book blogging community offers a wide (and wild) variety of books, it’s unbelievable. I’m in a virtual book candyland. Fiction, mostly from the YA category. The genres I prefer are fantasy, paranormal, historical and the romances in between. I do occasionally blog about adult romance though some of them are not contemporary ones since I prefer the romance books read by my mom in her age. Then, I talk about manga; though, I wasn’t as rabid as when I was in high school. Aiya! We all know we don’t ask this of bookworms. I’d ask right back from which age category, genre and subgenre you want me to pull out a substantial roll of parchment. Naming a few… the Harry Potter series is a given as well as The Lord of the Rings trilogy (and all the books related to Middle Earth by J.R.R. Tolkien). I immediately say Fire and Thorns trilogy by Rae Carson, Immortal Descendants series by April White and Eon duology by Alison Goodman, whenever someone asks for recommendations. Then, Legend by Jude Deveraux if they want old-school romance books. Having friends from all over the world! Meeting new people (bonus: fellow book lovers) and having conversations with the authors and bibliophiles alike. Question of the Week: What are the funniest books you've ever read? 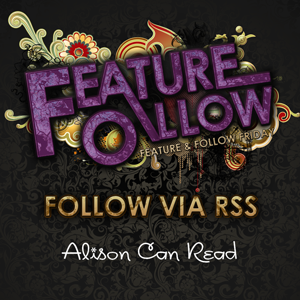 - Suggested by Alison Can Read. Definitely Swim the Fly by Don Calame: Fifteen-year-old Matt Gratton and his two best friends, Coop and Sean, always set themselves a summertime goal. This year's? To see a real-live naked girl for the first time — quite a challenge, given that none of the guys has the nerve to even ask a girl out on a date. But catching a girl in the buff starts to look easy compared to Matt's other summertime aspiration: to swim the 100-yard butterfly (the hardest stroke known to God or man) as a way to impress Kelly West, the sizzling new star of the swim team. (courtesy of Goodreads). Also, Cheaper by the Dozen by by Frank B. Gilbreth Jr. and Ernestine Gilbreth Carey: What do you get when you put twelve lively kids together with a father -- a famous efficiency expert -- who believes families can run like factories, and a mother who is his partner in everything except discipline? You get a hilarious tale of growing up that has made generations of kids and adults alike laugh along with the Gilbreths in Cheaper by the Dozen. Bossypants by Tina Fey is up there too: Before Liz Lemon, before "Weekend Update," before "Sarah Palin," Tina Fey was just a young girl with a dream: a recurring stress dream that she was being chased through a local airport by her middle-school gym teacher. She also had a dream that one day she would be a comedian on TV. She has seen both these dreams come true. At last, Tina Fey's story can be told. From her youthful days as a vicious nerd to her tour of duty on Saturday Night Live; from her passionately halfhearted pursuit of physical beauty to her life as a mother eating things off the floor; from her one-sided college romance to her nearly fatal honeymoon—from the beginning of this paragraph to this final sentence. If you could teleport into ANY story, which would you chose? - Suggested by Life Is Reading. One of my fave funny reads is VA series by Richelle Mead. Happy Friday!!! I mentioned Swim the Fly too. And I'm sure Tina Fey is hilarious. I think non-fiction can sometimes be funnier than fiction. Think Dave Barry or Seinfeld....they've written some funny stuff too. Those are some great choices! I've only ever read Cheaper by the Dozen, but I've heard great things about Tina Fey's book! Ohh great picks they all sounds utterly amazing books! Old Follower.